Ingbert Michelsen was the leading horn player in Denmark and the teacher of a generation of Scandinavian horn players. Michelsen was born in Skanderburg, Denmark in 1917. His father was a carpenter and amateur musician. Even before entering school, Michelsen started playing on an old tenor (alto) horn, then switched to trumpet. At age 10, he was admitted to a new Conservatory of Music in Århus. The teacher, Ejnar Knudsen of the Jutlandian Dragoons, arrived at the first lesson in his uniform, carrying his horn in a sack. He unpacked the horn and asked Michelsen, who had never seen a horn before, to try it. Michelsen did not dare refuse the imposing figure, and so horn became his instrument. Lessons were taken standing, with the military teacher also standing. Michelsen started playing third horn with the Århus Symphony Orchestra at age 12. After four years at the Conservatory, Michelsen started training to become a builder since music was not considered to be a safe way to make a living. However, he paid for his education by playing wherever he could, and then, in quick succession, won an audition for the Royal Opera Orchestra in Copenhagen, was offered solo horn in the Århus Symphony, and finally won an audition for the Danish Radio Symphony, the position he held for 27 years (1942-1969). In 1949, he received a scholarship to study for four months with Gottfried von Freiberg in Vienna. He taught at the Royal Conservatory of Music in Copenhagen from 1956 to 1984. In addition to his outstanding orchestral work, Michelsen was highly regarded as a soloist and chamber musician. He performed many Danish premieres (Britten Serenade, Hindemith Sonata and Concerto) and solos dedicated to him (Niels Viggo Bentzon Sonata and Launy Grøndahl Concerto) as well as performing standard concertos throughout Europe. "[His] fabulous technique and outstanding flexibility over the whole range of his instrument, combined with his brilliant musicianship, made him one of the most loved chamber musicians of the country." He was also heard on soundtracks in Swedish films. Few recordings of Michelsen are known, but admirers have collected tapes of his radio performances; Ib Lanzky-Otto played some of these at a Scandinavian Horn Club gathering. Michelsen was held in high regard by many conductors and visiting soloists. Rostropovich insisted that Michelsen share the solo bows after a performance of the Shostakovich Cello Concerto No. 1. Michelsen's first horn was a Gottfried F horn dating from the 1880s; in later years, he found it in a second hand shop and bought it back. After leaving the conservatory, he acquired in double horn. Later he had a D descant horn made for him by Alexander, intended for the Bach B minor Mass but used for many other works in D, for its lighter, elegant tone quality rather than for ease of playing. He also designed mouthpieces and was a skilled furniture maker. 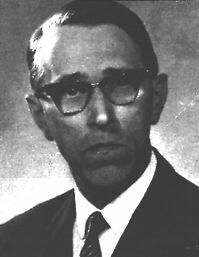 Michelsen was elected an IHS Honorary Member in 1978. A tribute appears in the April 1992 issue of The Horn Call.